Our basic TV aerial pictured left is the smallest aerial in our range and it is primarily used for installations in good signal reception areas where the digital signal from the transmitter is strong. 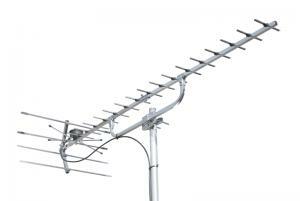 Pictured left is our standard 3 digital TV aerial this type of aerial is used for installations in medium reception areas where the signal strength from the transmitter is relatively average. 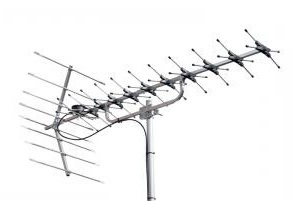 Our high gain digital TV aerial is a must for the reception of good quality digital TV signals from distant transmitters or where the digital signals are very weak or are being corrupted by buildings and trees obstructing the signal pathway. Pictured left our supreme digital master standard 1 digital TV aerial that is only installed in poor reception areas where the signal strength broadcast from the transmitter is weak & insufficient and the only way to get a good picture is to install the strongest TV aerial. In order to receive a large array of FM stereo radio signals from many of your local radio stations an omnidirectional FM radio aerial will be required. 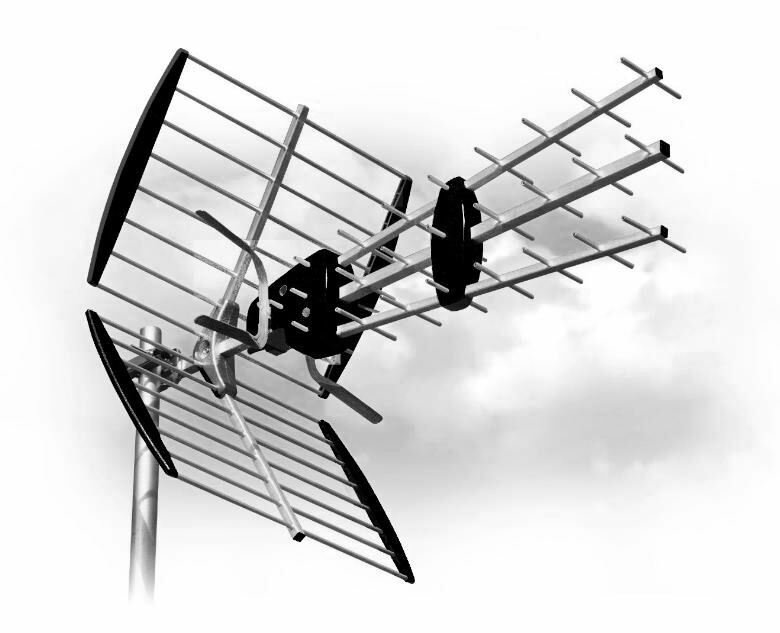 The installation of an FM radio aerial is required in order to receive a good quality FM radio signal reception from your primary transmitter. For the reception of DAB digital radio signals the installation of a DAB radio aerial is required as DAB radio signals are extremely hard to receive without the correct aerial reception equipment.